Single sheet dispensing system, controls usage and cost. 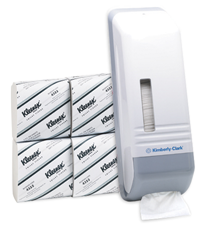 With the ability to top-up tissue anytime, the system reduces maintenance time. 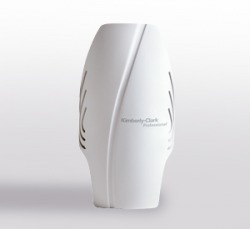 As users only touch the tissue they required, it provides better hygiene and sanitation. Available in 1 & 2-ply offerings. High capacity system enables easy maintenance and fewer run-outs. SCOTT® Jumbo Roll Tissue is perforated to control usage and free-reeling. 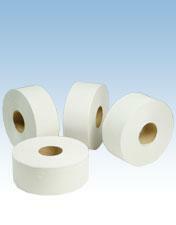 Product is available in 1 & 2-ply, embossed and non-embossed versions. SCOTT® M-Fold Hand Towels are reliable in performance. The towels offers good absorbency capacity and quality furnish. An eficient, simple and convenient hand drying system. Continuous fragrance oil system is ideal for the bathroom, laundry room, dormitory, nursery, etc. Passive system has no fan or batteries. Mount on a wall with optimal air flow. Includes removable mounting tape. Last up from 60-90 days. Continual odor control, 24/7 that is simple and quiet. © 2006-2008 Altea Marketing. All Rights Reserved. No part of this website may be downloaded, copied or reproduced without the written permission of Altea Marketing.